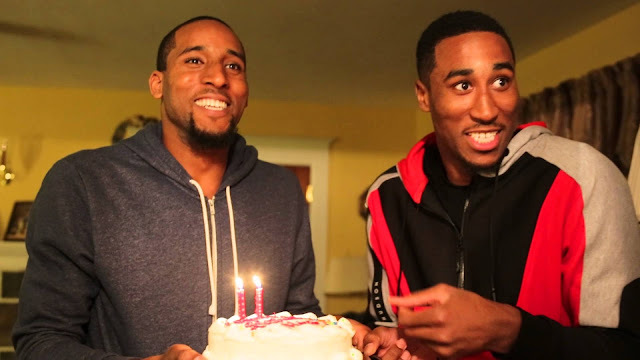 The story of Nets wing Rondae Hollis-Jefferson and his brother, former Temple star Rahlir Jefferson, is one entrenched in a loving mom, and a supportive community. The two brothers starred at Chester High School, in suburban Chester, PA. Chester isn’t quite a suburb, as the city of about 34,000 between Philadelphia and Wilmington, Del. is often referred to a one of the roughest cities in the northeast, let alone the country. The Jefferson brothers survived thanks to the love and sacrifice of a their hardworking mother Rylanda, who worked two jobs throughout the years when Rondae and Rahlir were in elementary and middle school. Rylanda would get up at 6 a.m. to work as a dietary supervisor until mid-afternoon, then come home to see her boys after school, and leave again at 6 p.m. to work as a bartender until 2 a.m.
Those days are over, and she doesn’t have to worry about returning home every night to that same house either. In the video presented by Mr. Biz, the Jefferson brothers surprise their mom with a new house.